Springs Dog Park is a 22-acre dog park that is owned by East Hampton Town in Springs, New York. It is believed to be one of the largest dog runs in the United States. The park with its 3 major east west trails (with several crossover paths) is part of 42 acre Springs Park that was once a plant nursery. 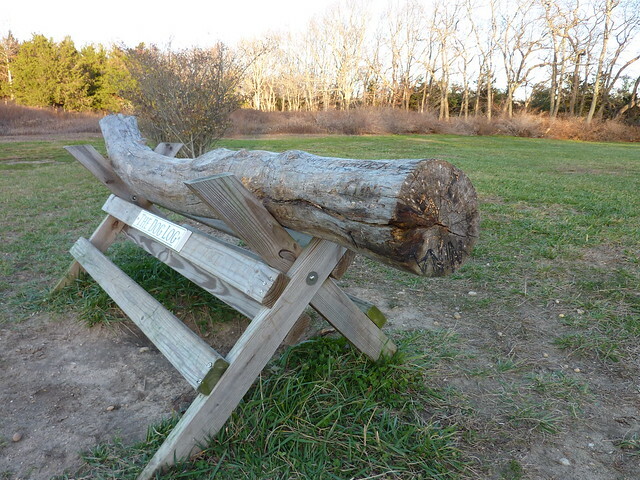 The grounds which have been cleared have a wide variety of plants and the highlight of the walk is the “dog log” (pictured above) on the east end of the park.